Fred has as good as confirmed his transfer to Manchester United via his latest social media activity. The Brazilian has been linked with a switch to the Theatre of Dreams for quite some time, especially with Jose Mourinho looking to add world-class midfield reinforcements to his squad this summer. Gianluca Di Marzio revealed last week that the Red Devils were already in advanced discussions with Fred’s representatives, and that an agreement between United and Shakhtar Donetsk was close to fruition. Fred has since been dropping hints of his seemingly imminent switch to the Premier League club on social media, having ‘liked’ a comment on one of his Instagram photos last weekend, which read: ‘Fred is red’. And now, he has done the same yet again, but by ‘liking’ a much more specific comment this time around. However, the Man United faithful were more focused on the comment section of that particular post, as they saw Fred ‘liking’ a comment which read: ‘Welcome to Manchester’. 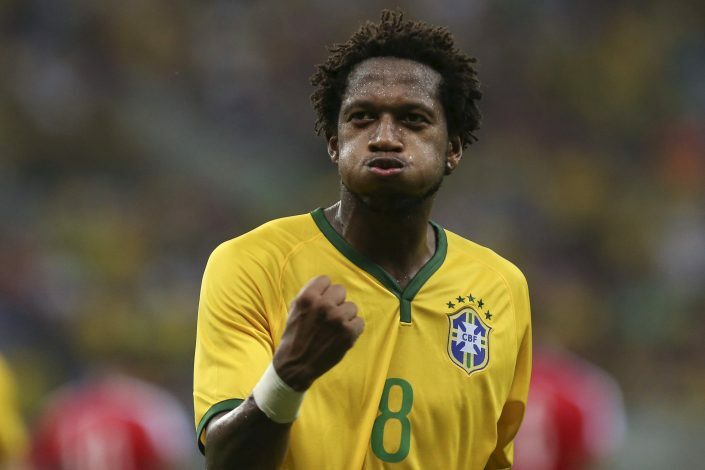 The Mancunian giants are reportedly set to take advantage of Fred being in England with his national team by conducting a medical examination, and his transfer to the club is likely to be officially announced this week itself.